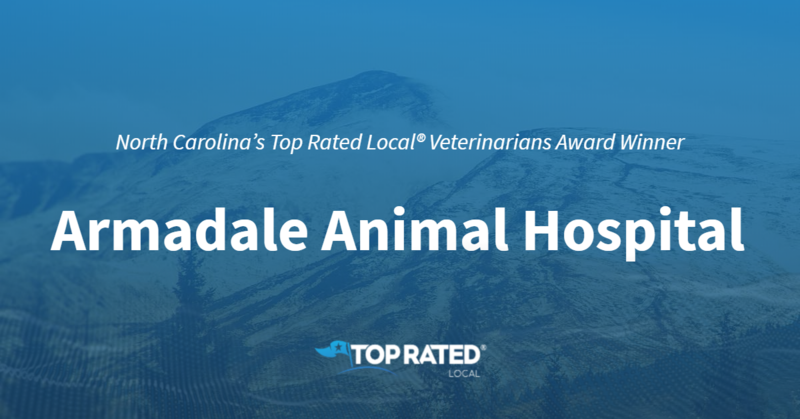 Top Rated Local® is pleased to announce that Armadale Animal Hospital is an award winner for veterinarians in 2019. If you are looking for a veterinarian who will work their hardest to treat you and your pet like family, look no further than this award-winning company! Armadale Animal Hospital has received many overwhelmingly positive reviews across five different verified sites with an average rating of 4.87 stars, earning them an impressive Rating Score™ of 98.66 and a 2019 Top Rated Local award for ranking as one of the top five veterinarians in North Carolina! “We’ve been going to Armadale for years, and our pets definitely thank us for it. They couldn’t be healthier. The annual checks are great, and the service… is top notch. I feel like everyone there is extremely friendly and goes above and beyond to make sure you and your pet have the best experience.” – B.G. It is because of excellent reviews like this that Armadale Animal Hospital is now able to call themselves a Top Rated Local award winner! We were excited to learn all about how Armadale Animal Hospital has been able to build such an impressive reputation, so we sat down with the Office Manager, Joseph Kinnarney. The first thing we wanted to know was what it is that makes Armadale Animal Hospital stand apart from their local competitors. To start, this practice can boast an incredibly high staff retention rate. Many of the doctors have been with Armandale for more than 10 years. Because of their incredible reputation, they are actually facing the exciting new growth opportunity of doubling their space! They have recently added more doctors’ hours and have converted offices into overflow rooms for exams. They are excited to be moving into their new location. Congratulations to Armadale Animal Hospital for being a 2019 Top Rated Local award winner, and special thanks to Joseph for taking the time to speak with us! 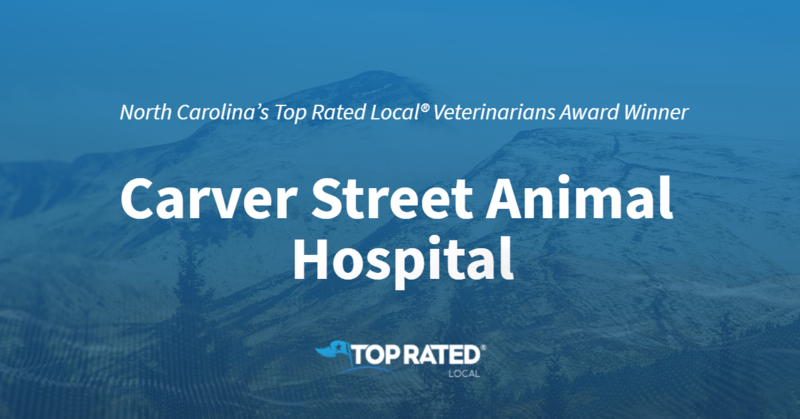 Top Rated Local® is pleased to announce that Carver Street Animal Hospital is an award winner for veterinarians in 2019. If you are looking for a veterinarian that will give your pet the love and attention it deserves, look no further than this award-winning company! Carver Street Animal Hospital has received many overwhelmingly positive reviews across four different verified sites with an average rating of 5.00 stars, earning them an impressive Rating Score™ of 98.00 and a 2019 Top Rated Local award for ranking as one of the top 10 veterinarians in North Carolina! “As per usual, taking my ‘kids’ to this vet was an amazing experience. I KNOW when I take one of my animals here, they are going to be treated with love, patience, and professionalism. They walk me through everything going on with medication, immunizations, weight changes, etc. I never leave with questions; they cover everything possible. They are flexible with scheduling and let you know upfront if they need you to bring anything. I went from living five minutes from them to an hour away, and I GLADLY make the trip. They ARE Worth it!” – B.B. It is because of excellent reviews like this that Carver Street Animal Hospital is now able to call themselves a Top Rated Local award winner! We were excited to learn all about how Carver Street Animal Hospital has been able to build such an impressive reputation, so we sat down with the Receptionist and Marketer, Jessica. The first thing we wanted to know was what it is that makes Carver Street Animal Hospital stand apart from their local competitors. Jessica told us about the kind of personalized care they strive to offer their patients. They are a family-focused veterinary hospital, and want to give every pet the kind of attention they deserve. To help them work towards this, they are open Monday through Friday and will occasionally work Saturdays and make house calls. Through these efforts, it is their hope to spread their love for animals. They especially hope to educate people who may be apprehensive about having a pet by teaching them how to love and care for an animal. Carver Street Animal Hospital has managed to create quite an impressive reputation for themselves, so we were excited to hear more about some of the ways they have marketed themselves over the years. We learned that they have a strong online presence, which they use to keep in touch with their clients and share articles about pet care through platforms, like Instagram and Facebook. Ultimately, word of mouth has been one of their most valuable strategies for getting new clients. Congratulations to Carver Street Animal Hospital for being a 2019 Top Rated Local award winner, and special thanks to Jessica for taking the time to speak with us! 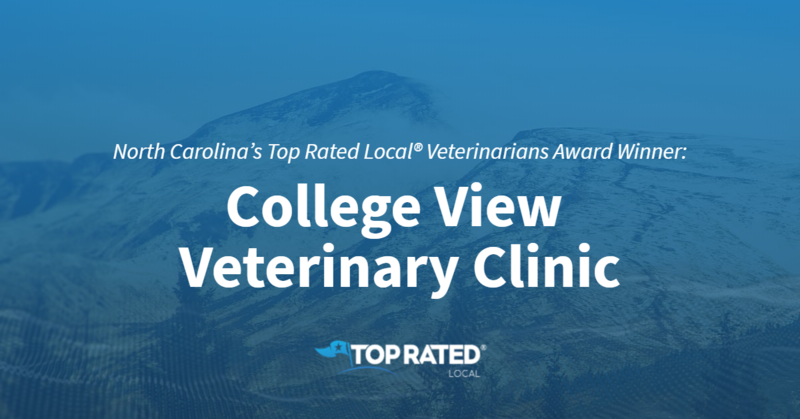 Top Rated Local® is pleased to announce that College View Veterinary Clinic is a 2019 award winner for veterinarians in North Carolina! When your pet is in need of veterinary care in Jacksonville, there’s no better option than College View Veterinary Clinic. College View Veterinary Clinic has received hundreds of reviews on four verified sites with an average rating of 4.97 stars, earning them a remarkable Rating Score™ of 97.75 and a 2019 Top Rated Local award for ranking among the top 10 veterinarians in all of North Carolina! “College View is the best veterinary clinic I have ever been to since I’ve owned pets (and that’s a long time, with lots of pets and from coast to coast)! The staff is kind, gentle and caring with my pets; they remember my pets; they answer all of my questions; making appointments is never a problem; what more can I say? College View is a great place to take your pets! I trust them implicitly!” – Jill K.
We wanted to learn a little more about College View Veterinary Clinic and its stellar online reputation, so we took a few minutes to talk with the Office Manager, Benjamin Austin Thomas. The first thing we wanted to know in our conversation with Benjamin was why does the team at College View Veterinary Clinic do what they do. He told us that, above all, their mission is to improve overall pet health in their community. We also asked Benjamin how the team at College View Veterinary Clinic works to make the world a better place. Benjamin shared with us that they work with various local charitable organizations and adoption agencies, and that they provide healthcare alternatives to pets. Benjamin attributes College View Veterinary Clinic’s strong online reputation to their commitment to asking for reviews. Outside of building a powerful online reputation, College View Veterinary Clinic has gotten their name out there through social media and advertising — which are handled by a separate corporate office — and by setting up booths at local events, sponsoring local events and sending veterinarians out to schools on Career Day. Congratulations to the team at College View Veterinary Clinic for being a 2019 Top Rated Local award winner, and thank you so much, Benjamin, for taking the time to speak with us! We highly recommend College View Veterinary Clinic in Jacksonville. Visit their website today! 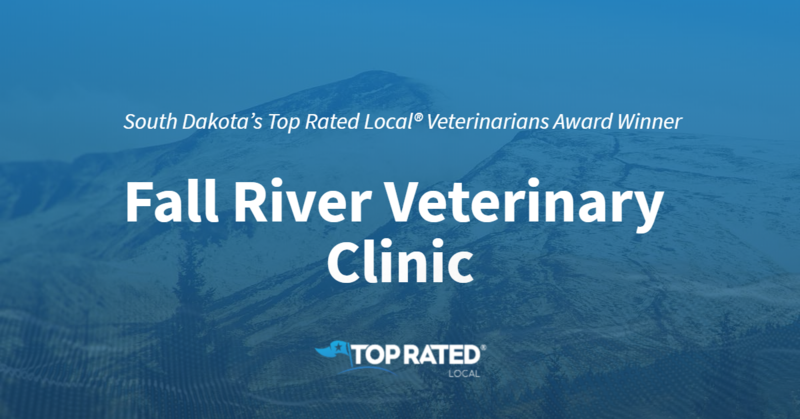 Top Rated Local® is pleased to announce that Dale Animal Hospital is a 2019 award winner for veterinarians in South Dakota! If you’re looking for a veterinarian in Sioux Falls who will treat your pet with love and compassion, look no further than Dale Animal Hospital. Dale Animal Hospital has received more than 100 reviews on three verified sites with an average rating of 4.86 stars, earning them an incredible Rating Score™ of 94.59 and a 2019 Top Rated Local award for ranking among the top 10 veterinarians in all of South Dakota! “Dr. Byl is amazing and has taken such good care of my Miss Faye the last few months. From ear infections to chiropractic adjustments, Dr. Byl shows nothing but love and compassion when we come into the clinic! She takes the time to listen and explain what she thinks is the best course and then talks through options. It’s easy to see that she loves what she does and cares about the animal and the owner.” – Jeri C.
Dr. Dawn Dale, Senior Vet and owner of Dale Animal Hospital, generously gave us a few minutes of her time to tell us about her award-winning business and its tremendous online reputation. The first question we had for Dr. Dale was what sets Dale Animal Hospital apart from their competition in South Dakota. She points to their highly trained staff that is tightly bonded to each other and to the animals they serve, to their use of real medicine, to their commitment to doing everything they can to help their clients’ animals and to the 50 years of combined experience their three veterinarians have. We also wanted to know what their mission is at Dale Animal Hospital and how they work to make the world a better place. Dr. Dale told us that their mission is to help their patients live the happiest, healthiest lives possible and to provide an excellent work area for their team. Dr. Dale attributes Dale Animal Hospital’s strong online reputation to their commitment to treating both patients and their owners with respect, and told us that their online reputation is a reflection of their word of mouth and their community reputation. Outside of building a powerful online reputation, Dale Animal Hospital has gotten their name out there through ranked advertising and direct mail marketing. Congratulations to the team at Dale Animal Hospital for being a 2019 Top Rated Local award winner, and thank you so much, Dr. Dale, for taking the time to speak with us! We highly recommend Dale Animal Hospital in Sioux Falls. Visit their website today! Top Rated Local® is pleased to announce that Fall River Veterinary Clinic is an award winner for veterinarians in 2019. 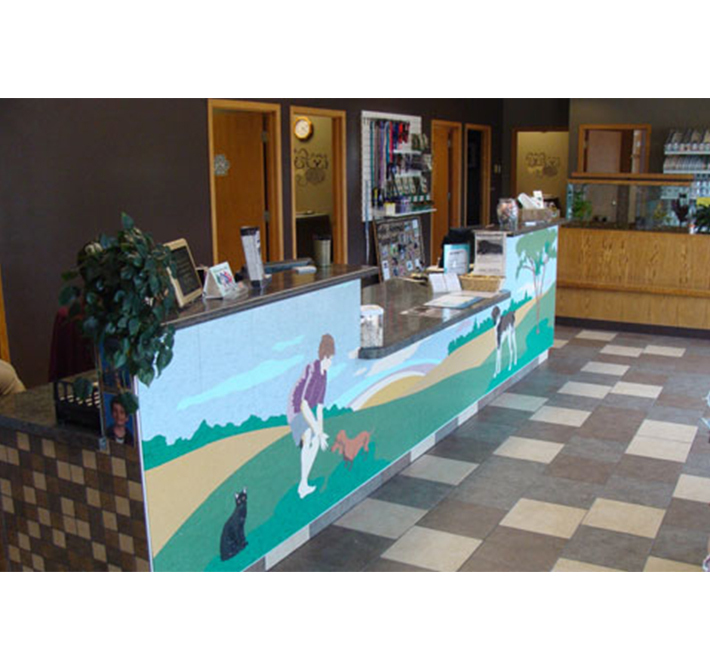 Fall River Veterinary Clinic is a full-service clinic for large and small animals. They also have 24-hour emergency service! For all of your petcare needs, we highly recommend giving them a call! Fall River Veterinary Clinic has received many overwhelmingly positive reviews across three different verified sites with an average rating of 4.95 stars, earning them an impressive Rating Score™ of 95.47 and a 2019 Top Rated Local award for ranking as one of the top three veterinarians in South Dakota! “What a wonderful staff! Words cannot express how grateful we are to them for their compassion and thoughtfulness in our time of grief. We will, at some point, welcome a new fur child (or two) to our home, and Fall River Veterinary clinic will always be our first choice.”- L.C. It is because of excellent reviews like this that Fall River Veterinary Clinic is now able to call themselves a Top Rated Local award winner! We were excited to learn all about how Fall River Veterinary Clinic has been able to build such an impressive reputation, so we sat down with the owners and operators, Dr. Kayla Brown and Dr. Dustin Brown. Fall River Veterinary Clinic has certainly managed to build an impressive reputation for themselves, so it was no surprise to learn that word of mouth referrals is their biggest marketing avenue. There are many businesses out there that are looking to build as impressive a reputation as Fall River Veterinary Clinic has managed to. We asked if Dr. Kayla Brown and Dr. Dustin Brown. could share any expert advice with these companies. Instead of focusing so much on marketing, Dr. Kayla suggests letting it happen naturally by focusing on providing great services accompanied by amazing customer service. Congratulations to Fall River Veterinary Clinic for being a 2019 Top Rated Local award winner, and special thanks to Dr. Kayla Brown and Dr. Dustin Brown for taking the time to speak with us! 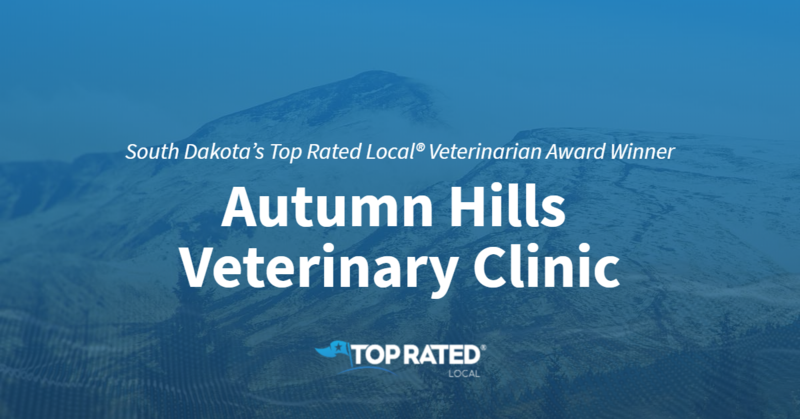 Top Rated Local® is pleased to announce that Autumn Hills Veterinary Clinic is a 2019 award winner! “We have taken our pets to Dr. Dye for many years. He is the most caring, understanding, and knowledgeable vet I have ever been to! I had to meet Dr. Dye on a Sunday and he and his wife went above and beyond what I could ever imagine, making that visit as bearable as could be. 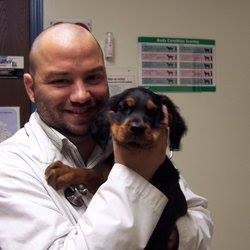 He is not only a great vet, but [he is also] a great man!” -Chris L.
James Dye, the owner of Autumn Hills Veterinary Clinic, took some time to speak with us about his business’ outstanding online reputation. Of course, we were particularly interested in finding out what James believes to be the difference between his business and other vet clinics in the area. He told us, “We serve not only pets, but also their owners. We try to give the best customer service to both — not just understand the issue with the pet but also to communicate what is going on to the pet owner. 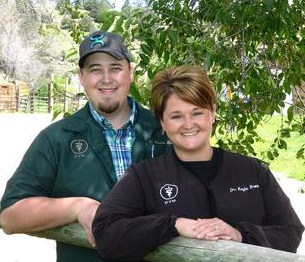 The Autumn Hills Veterinary Clinic secret to success can be attributed to their commitment to those that they serve. “After 14 years of business, it’s about treating people and their pets right. Customer service and word of mouth help getting return customers,” James said. Congratulations to the team at Autumn Hills Veterinary Clinic for being a 2019 Top Rated Local award winner, and thank you so much, Russell, for taking the time to speak with us! Top Rated Local® is pleased to announce that Oak Tree Animal Clinic is a 2019 award winner for veterinarians in Mississippi! When you need compassionate, professional veterinary care in Olive Branch, you need Oak Tree Animal Clinic. Oak Tree Animal Clinic has received hundreds of reviews on three verified sites with an average rating of 5.00 stars, earning them an outstanding Rating Score™ of 96.00 and a 2019 Top Rated Local award for ranking among the top 10 veterinarians in all of Mississippi! “The clinic I was going to would not take care of my Taco Bell, because they couldn’t. I had issues with them taking the time to talk to me about his issues, and they didn’t return calls or make the calls they promised to make. They referred me to a specialty clinic that was going to cost me a minimum of $850.00 and could be as high as $2,000.00. I found Oak Tree online and gave them a call. Dr. Denise took care of my baby for a fraction of the cost and with fantastic care. The staff here has been nothing but nice, kind and caring. This will be our new pet care facility.” – Andrea B. In order to learn a little more about this award-winning business and its stand-out online reputation, we took a few minutes to talk with Amy, office manager at Oak Tree Animal Clinic. The first question we had for Amy was what sets Oak Tree Animal Clinic apart from the many other veterinary clinics in Mississippi. She points to the excellent service they provide their patients and their owners day in and day out. Amy attributes Oak Tree Animal Clinic’s strong online reputation to the fact that they ask their clients for reviews on their receipts. Outside of building a powerful online reputation, Oak Tree Animal Clinic has gotten their name out there by creating banners and working with high schools. Congratulations to the team at Oak Tree Animal Clinic for being a 2019 Top Rated Local award winner, and thank you so much, Amy, for taking the time to speak with us! We highly recommend Oak Tree Animal Clinic in Olive Branch. Visit their website today! Top Rated Local® is pleased to announce that All Creatures Veterinary Hospital is an award winner for veterinarians in 2019. If you are looking for a veterinarian that will provide quality care at an affordable price, look no further than this award-winning company! All Creatures Veterinary Hospital has received hundreds of overwhelmingly positive reviews across four different verified sites with an average rating of 4.80 stars, earning them an impressive Rating Score™ of 95.95 and a 2019 Top Rated Local award for ranking as the number one veterinarian in South Dakota! “[The staff was] very helpful, caring, and kind, and the vet gave us good information with the best options that [could] work for us and our dog. They were not pushy or pressuring us, either. The facilities are very nice, attractive, and clean. [We] would definitely recommend [them], and we will return here next time there is a need.” – O.S. It is because of excellent reviews like this that All Creatures Veterinary Hospital is now able to call themselves a Top Rated Local award winner! 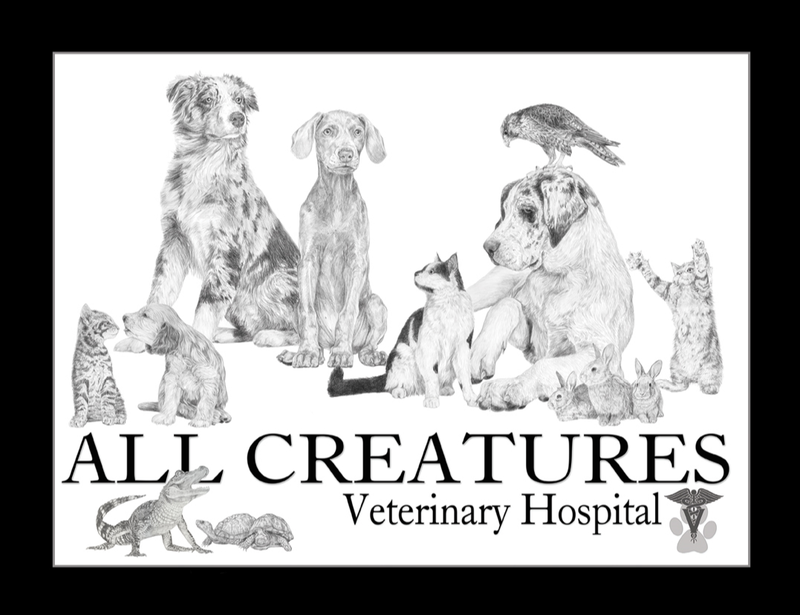 We were excited to learn all about how All Creatures Veterinary Hospital has been able to build such an impressive reputation, so we sat down with the owner, Dr. Dean Falcon. The first thing we wanted to know was what it is that makes All Creatures Veterinary Hospital stand apart from their competitors. For Dr. Falcon, it’s not about competition, it’s about providing exceptional and accessible pet care. Congratulations to All Creatures Veterinary Hospital for being a 2019 Top Rated Local award winner, and special thanks to Dr. Falcon for taking the time to speak with us! Top Rated Local® is pleased to announce that Maple Veterinary Hospital is a 2019 award winner! “I love this veterinary office! In a neighborhood full of golden retrievers, I had a hard time finding a vet that would treat my former stray like the awesome dog he is. They are kind of expensive, but hey — that’s why I only have one dog and one cat. They are great with the cat, too!” -Michelle D.
Dr. Mike Derkevorkian, the owner of Maple Veterinary Hospital, took some time to speak with us about his business’ exceptional online reputation. 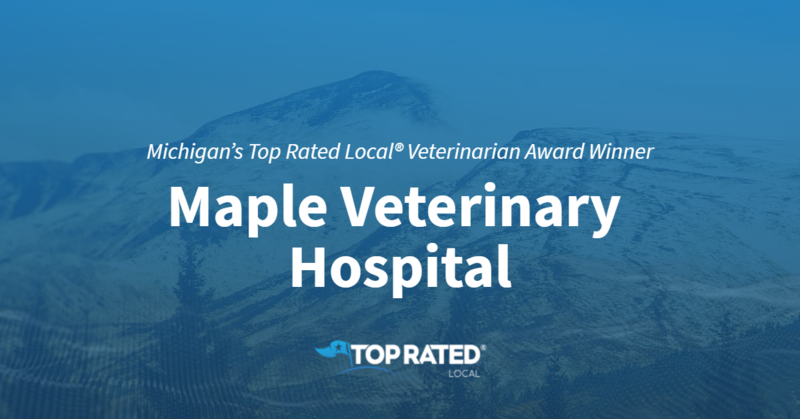 Congratulations to the team at Maple Veterinary Hospital for being a 2019 Top Rated Local award winner, and thank you so much, Dr. Derkevorkian, for taking the time to speak with us! 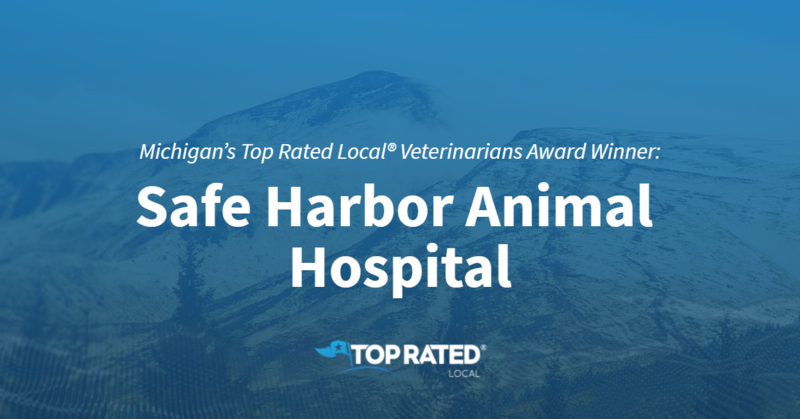 Top Rated Local® is pleased to announce that Safe Harbor Animal Hospital is a two-time award winner in Michigan for 2019! For compassionate veterinary care provided in a warm, comfortable environment, there’s no better option than Safe Harbor Animal Hospital in Grand Rapids. Safe Harbor Animal Hospital has received hundreds of reviews on five verified sites with an average rating of 4.89 stars, earning them a remarkable Rating Score™ of 98.86 and two 2019 Top Rated Local awards — one for being ranked among the top 100 businesses in Michigan and one for being ranked the number one veterinarian in Michigan! “Everyone at Safe Harbor truly cares about the animals and their human companions. They listen carefully, follow through on concerns and respect differing opinions. It is a special place with special people.” – Sandra C.
In order to learn more about this one-of-a-kind business and its impressive online reputation, we took a few minutes to talk with Rhonda Ritter, Practice Manager/Technician at Safe Harbor Animal Hospital. Congratulations to the team at Safe Harbor Animal Hospital for being a 2019 Top Rated Local award winner, and thank you so much, Rhonda, for taking the time to speak with us! For all of your veterinary needs in Grand Rapids, we highly recommend Safe Harbor Animal Hospital. Visit their website today!